Have a new business and want a website on page one of Google searches and ask yourself where do I start? Maybe your selling products and want a shopping cart on your website and confused how to setup Ecommerce? Maybe you are using a web design template or want to contact a web design expert? Maybe you want to learn how to do on page or off page SEO or hire an SEO expert which can be quite expensive. So many questions can make your head spin so you spend many hours on the internet doing research and it even gets more confusing. It takes many years to learn this entire process so don’t risk your possible success by trying to do it yourself. So the dilemma is where can I find a reputable web design and SEO professional company that will do a good job and not rip me off? If you talk to a representative who answers all your questions and not in a hurry to get you off the phone or pressures you to sign up for the most expensive package, they are most likely a honest and reputable company. I would then ask to speak to some of their past customers and if they refuse, hang up and continue with other prospects. An SEO company relies on its reputation for success and of course what goes around comes around. Success of a company depends on the experience, intelligence and motivation of its employees. Choose your domain name wisely which should be short and easy to remember containing your most important keyword. There are low and high competitive keywords so if you are choosing a high competitive keyword, you might want to consider long tail keywords. For example if you are selling leather boots, you might want to consider targeting certain cities as opposed to competing with companies selling leather boots in all 50 states. So if you are a company in Columbus, GA selling leather boots then your longtail keywords would be “leather boots Columbus, GA”. Now your chances of obtaining SERP excellence for this certain city would be greater than being on page one of Google for cities in all 50 states that sell leather boots. Now that you’ve chosen your domain name and longtail keywords, it’s time to make your website mobile responsive on all devices since Google now requires this as of April 21, 2015 or face a ranking penalty on mobile searches. Before implementing the internet marketing process, make sure to perform on page SEO for your website. This ensures you’ve correctly placed keywords in your page title and description meta tags in addition to H1, H2 and H3 tags as well. Your URL filenames should also include your longtail keywords. The understanding of SEO process consist of many variables that work hand in hand to make your website appears on page one of searches. Make sure your web pages contain 600 or more words of content with embedded videos and if you have images, give them an alt tag description containing your keywords. Videos are so important because they show your products and services in action much better than text and images thus reducing your website bounce rate. Social media marketing process to expose your website to millions of potential customers which can be very confusing since a lot of information on the internet is conflicting and biased. No doubt social media marketing is by far the best method of content marketing. I would suggest saturating social media sites with blow out of the water blog articles explaining how your products or services are the best value for the money. In these articles you can implement anchor text links back to different pages on your website to increase your and domain authority thus increasing your SERP. One last important suggestion is to apply for a free Google Webmaster Tools account to get periodically statistical reports for your website including visitors per day, bounce rate, keyword priority, total backlinks and much more by including some HTML tracking code in the head section of your web pages. Good luck with your SEO campaign and don’t hesitate to contact me if you have any questions. After the Google Panda and Penguin algorithms, a lot of SEO professionals now understand it’s not beneficial to implement keyword stuffing or thin content as this will undoubtedly hinder your chances of obtaining an excellent SERP. Blog articles in the past, at around 400 words, was accepted as quality content but now they have raised the bar to around 800 words. Your blog articles must be blow out of the water informative explaining how your company’s services or products provide consumers with quality at competitive prices. There are a lot of controversy about EMD (exact match domains) which are keyword rich domains but I believe they give your visitor a better idea of what your website is about. My recommendation is to use 1 or 2 keywords in your domain name and of course short domain names are easier to remember. I can’t stress the importance of choosing revelant keywords that people will use in search engines to find your website. If these keywords are very competitive, you might want to use long tail keywords instead which are less competitive. You can visit https://adwords.google.com/KeywordPlanner to do research on your prospective keywords. Keep your keyword density at no more than 3% of your total content per web page. As mentioned in my other articles, page meta title, description, H1, H2 and H3 tags should also include your targeted keywords. This past April 21, 2015, Google released a new mobile friendly ranking algorithm which gives a ranking boost to mobile friendly websites in mobile search results. I’ve been using Bootstrap to design mobile responsive websites since May of 2015 and found many free plugins on github.com to expand its capabilities. Social media sites are a great way of acquiring natural earned backlinks for great SERP within 4 to 6 months. When posting blog articles, use anchor text backlinks for different variations of your targeted keywords which should be revelant to the web pages you are linking to on your website. Most social sites have a profile setup where you can add the URL of your website giving you another backlink. I recommend creating a Google+ business page, Facebook business page, Pinterest, Tumblr, Blogspot, Linkedin, etc. Another way to get some good backlinks is using social media marketing bookmarks such as delicious and Google bookmarks. Setting up a Google Webmaster account allows you to get analytical reports for your website which includes bounce rate, visitors per day, percentage of new and returning visitors, crawl errors, number of incoming external links and keywords picked up by Google. You can generate html tracking code which is put in the section of every web page. Also register your business name and address to get a position on Google maps. No doubt video marketing is essential to the internet marketing process. I have talked with many SEO professionals that don’t create promo videos which I would definitely consider since Youtube gets over 1 billion visitors per month. Your video title should contain your targeted keywords as well as the description and tags. Begin the description with your website URL to get a backlink. Encode your video at 1920×1080 resolution with the H.264 codec which Adobe Media Encoder does quite well. SEO has changed over the years and will continue to change with Google algorithms coming out periodically. I believe exceptional quality content will remain the key to getting a high SERP position. Nothing comes easy in life and getting to the top of page one in Google search is no exception. Good luck and happy SEOing in 2016! There are many articles on the internet explaining the SEO process and some of these can be somewhat confusing. There are two parts to this process which is essentially on and off page SEO. Putting your targeted keywords in the correct places on your web pages is very important before you can begin your internet marketing campaign. Social media internet marketing is the most important way to expose your products or services and acquire natural earned backlinks to your website which is required to get a great organic ranking on search engines. When choosing your domain name, make sure to include one or two of your most important keywords. Determine how competitive your targeted are because you might have to use long tail keywords which are less competitive for better ranking. Video internet marketing process is an important part of your SEO campaign as Youtube gets around 1 billlion visitors per month. Your video should have a resolution of either 1280×720 or 1920×1080 and keep the length of around 5 minutes or less. Your keywords should be in the video title as well as the description. The beginning of the video description should begin with a backlink to your website. Each page on your website such have around 500 to 700 words of text with integrated keywords at 3% density. If you have images, they should have an alt tag with a keyword as well. To keep down page loading times use jpeg instead of png images as these are larger in file size. Make sure to embed a video on your page as this can reduce your bounce rate as many visitors would rather watch a video than read 700 words of text. Other things to consider when performing On Page SEO process is to make sure the H1, H2 and H3 (paragraph headings) contain your targeted keywords. Also your web page file names (filename.html) should contain your keywords as well. Social media marketing tools I recommend are a Facebook business page along with other sites such as Pinterest, Linkedin, Blogger.com, Tumblr.com, WordPress.com and Youtube. You can also include a backlink to your website in your social media profile setup. When posting your blog articles on your social media site, make sure to use variations of your targeted keywords as anchor text backlinks to different pages on your website for link diversity as you don’t want all your external backlinks pointing to just your homepage. Contrary to popular belief, SEO is not complex because if you break down this process, it consist of preparing your website to be SEO friendly and implementing an off page internet marketing campaign to acquire more domain and page authority for your website. Another thing to mention is that Google now requires all websites to be mobile friendly or get penalized on mobile searches. I recommend Bootstrap for making your website mobile responsive. Want to be an SEO Expert? There are many factors that one should consider if you want to become an SEO expert. Because the domain name itself is a ranking factor that search engines consider when determining SERP, I would recommend including your most important targeted keywords and a .com would be better than a .net, org, info as it helps with brandability. We all know .com is more common, looks more authoritative and our brain is wired to think .com. Avoid hyphens in your domain name as this detracts from credibility and can considered as a spam indicator. When selecting a domain name remember to make it short and easy to remember. Before considering an Off Page SEO method process, I highly recommend performing an On Page SEO for your website. The most important first step is choosing your targeted keywords and determine how competitive they are by using Google’s keyword planner at https://adwords.google.com/KeywordPlanner. If your keywords are very competitive nationally then include your city and state which results in long tail keywords. These keywords should be included your page meta title, description, H1, H2, and H3 tags as well. For your entire website, keep your keywords around 3% density to avoid keyword stuffing as Google frowns up this and can hurt your SERP. Excellent quality content is an important part of On Page SEO so I recommend around 400 words of text per page with integrated keywords and include embedded videos as this will keep visitors on your website longer thus reducing your page bounce rate. Keep jpeg images at 72 dpi and limit the usage of .png image as these will be larger file size resulting in a longer page loading time. Also don’t forget to give your images an alt tag description. Implement a Blog on your website as this will be an important part of your Off Page SEO process as I will explain later in this article. Your Blog articles should include 3% keyword density and explain in detail how your products or services can help people in their everyday lives. Your web page filename seo-columbus-ga.html should also include your targeted keywords. Good navigation and internal linking is also an important factor. I highly recommend getting a free Google Webmasters account which links your website to Google Analytics allowing you to generate a Google tracking html code which you will embed in all your web pages. This allows you to receive frequent analytical reports from Google showing statistics about your website such as bounce rate, visitors per day, derived keywords and much more! So now you’ve implemented On Page SEO for your website and ready to begin your internet marketing campaign. Social media has become a great avenue for acquiring important backlinks needed to improve your website’s domain and page authority. Some of the social media sites I use are Google+ communities, Pinterest, Blogspot, Linkedin, Tumblr, Facebook, Twitter and Youtube. After you’ve setup your social media sites, it’s time to start posting Blog articles. Each article should contain around 500 words of text or more with embedded videos. Again, keep your targeted long tail keywords around 3% density and not only in the body but in H1, H2 and H3 tags as well. Use these long tail keywords as anchor text backlinks to related Blog pages on your website giving them more domain authority. Make sure to use variations of anchor text so it doesn’t appear as keyword stuffing. You can post the same Blogs you have on your website but make sure all anchor text links point to different Blog pages on your website. Video internet marketing is an important part of the Off Page SEO process so I highly recommend posting many videos on Youtube, Daily Motion, Vimeo and frequency.com. Include your targeted keywords in the video title, description and tag area. Since Youtube likes HD video, render your videos at 1920×1080 or 1280×720 resolution. Adobe Premiere, which is my favorite, has many different Youtube render presets. As described above, SEO is a combination of On Page and Off page search engine optimization and is no doubt a long tedious process which is why SEO professionals are expensive. 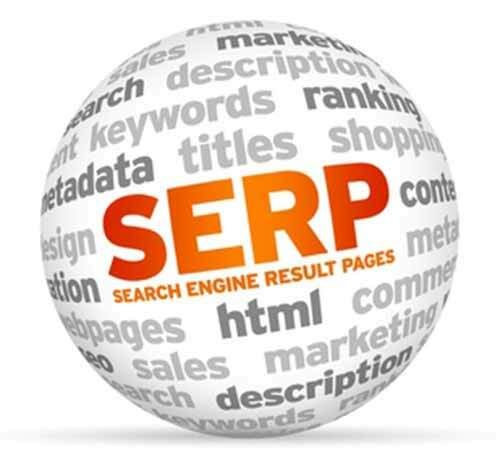 If this process is implemented correctly, you can expect to see excellent SERP results in a matter of 4 to 6 months. Good luck and happy SEOing!! !